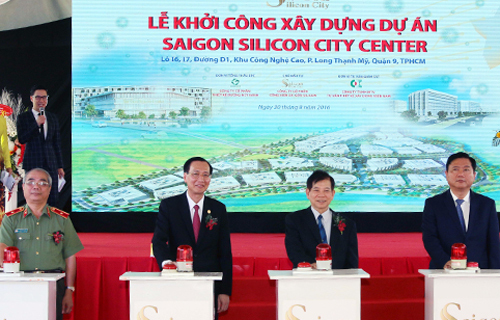 Many foreign investors keen on Saigon Silicon City 9/8/2016 2:36:33 PM Many foreign high-tech enterprises, most of them from Silicon Valley in the U.S., have shown interest in investing in the Saigon Silicon City project being developed at Saigon Hi-Tech Park (SHTP) in HCMC’s District 9. 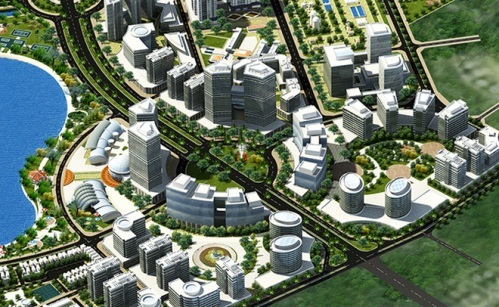 Local group wants to build giant software park in Hanoi 9/8/2016 2:35:29 PM Becamex ITC has registered to invest in a software park in Hanoi for VND24 trillion ($1.1 billion). 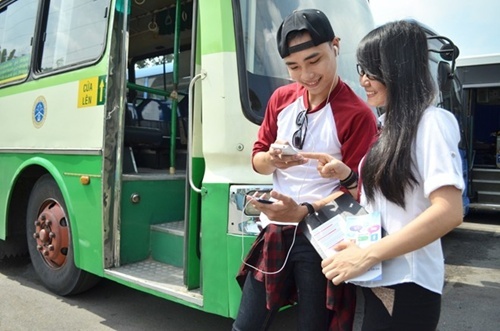 Viettel offers free wifi service at bus stations 9/8/2016 2:33:25 PM Telecom giant Vietel has installed 17 wifi hotspots at bus stations nationwide to help travelling citizens access the Internet for free. 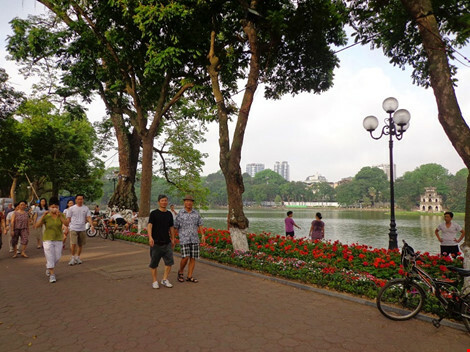 Free Wi-Fi around Hoan Kiem Lake soon 9/8/2016 2:32:42 PM The city authority is expected to put 10 free-Wi-Fi hotspots in the first stage along the pedestrian plazas around Hoan Kiem Lake and adjacent areas on National Day, September 2. 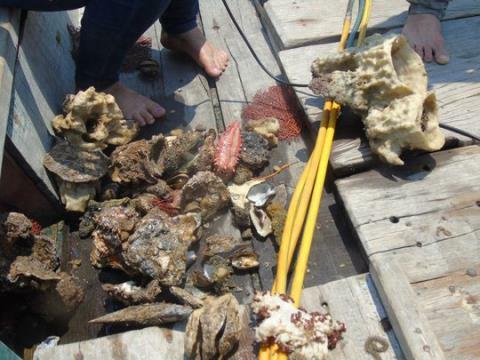 Scientists argue about technology to clean sea dirtied by Formosa incident 9/8/2016 2:32:13 PM While some scientists believe Japanese sea mud treatment technology would help clean the central coast, others think it is unsuited to Vietnam’s conditions. 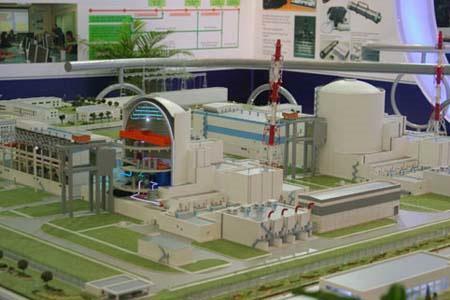 Construction on Ninh Thuan nuclear power plant delayed again 9/8/2016 2:31:34 PM Experts believe the construction of the Ninh Thuan nuclear power plant should be delayed Because the country has not adequately prepared for it. Vietnam agriculture faces stiff competition from imports 9/8/2016 2:31:03 PM Vietnamese agricultural enterprises are losing opportunities to export food, facing big challenges in the domestic market because of imports. 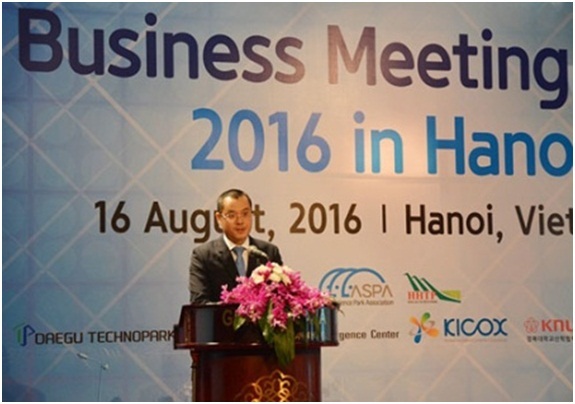 Business Meeting Asia 2016 9/8/2016 2:13:15 PM On August 16Th, 2016, the Asian Trade Conference 2016 by the Management Board of the Hoa Lac Hi-Tech Park and the Asian Scientific Park Association (ASPA) was held in Hanoi with the participation of many domestic and foreign businesses. Security and safety solutions for intelligent buildings 9/8/2016 2:11:50 PM Dated 18 August 2016, in Hanoi, Intelligent Building Solution JSC (IBS) organized a workshop on security and safety solutions for intelligent works. The workshop attracted the participation of many local and abroad units and enterprises operating in the fields of construction, safety supervision and security. Hybrid rice variety - Dai thom 8 9/8/2016 2:11:05 PM Recently, scientists from Southern Seed Research Center (Southern Seed Joint Stock Company) have successfully researched and cross-bred the Dai thom 8 rice variety. 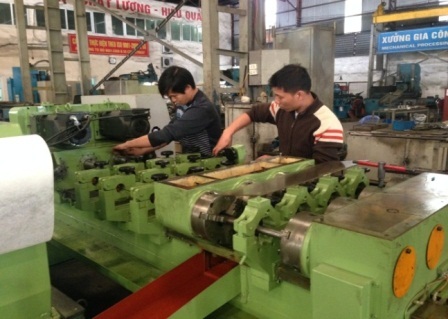 Deep-hole drilling machine MD.4S-1800 9/8/2016 2:07:54 PM Through performing the national science and technology project of KC03/11-15 program, scientists from Institute of Technology (General Department of Defence Industry) have successfully studied, mastered the design, and manufactured the deep-hole drilling machine - MD.4S-1800. In addition to being used for military purposes, the device is also applied in the industry (manufacturing, aviation, automobile, oil and gas, mining,…). 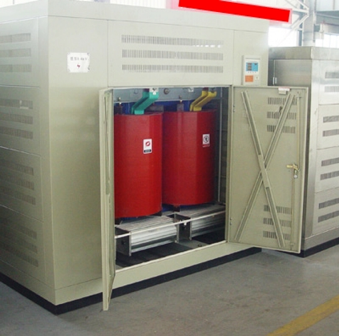 Three-phase arc furnace transformer 9/8/2016 2:07:00 PM Hanoi Electromechanical Manufacturing JSC (HEM) has successfully manufactured three-phase arc furnace transformer under high-tech processes, which is able to work well in harsh environment in factories of industrial copper sifting and iron and steel refining. 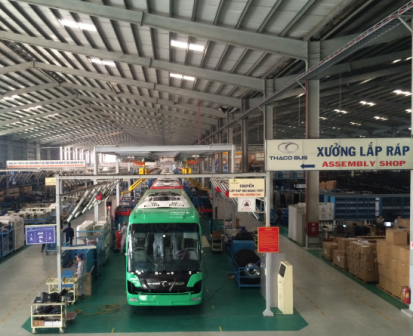 Thaco Mobihome sleeper buses 9/8/2016 2:03:50 PM Scientists from Truong Hai Auto Corporation have successfully studied and manufactured Thaco Mobihome sleeper buses. This is a product of national science and technology project “Research on designing and manufacturing the superior sleeper buses branded Vietnam”. Bridges using ultra-high performance concrete (UHPC) 9/8/2016 2:02:59 PM Scientists from the Institute of Building Science Technology (IBST) have successfully studied, mastered and manufactured the bridge girders by prestressed ultra-high performance concrete (UHPC). The UHPC girders have much better tolerance of pressure than normal concrete girders (same size), this is significant in improving the quality and longevity of rural bridge projects. Remote control system for water environment applied in aquaculture 9/8/2016 2:02:05 PM Engineer Le Duc Duy Khanh and his colleagues from Industrial Machinery and Instruments Holding JSC (Ministry of Industry and Trade) have successfully studied, designed and manufactured the remote control system for water environment to apply in aquaculture. 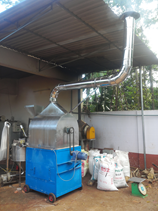 Cocoa roaster 9/8/2016 2:01:34 PM In order to meet the demand for guaranteed quality of products, productivity, brand building and competitiveness of Vietnam’s cocoa products on the market, scientists from Center for Agricultural Energy and Machinery (Ho Chi Minh City University of Agriculture and Forestry) have successfully studied, designed and manufactured the coffee roaster MRC-50. 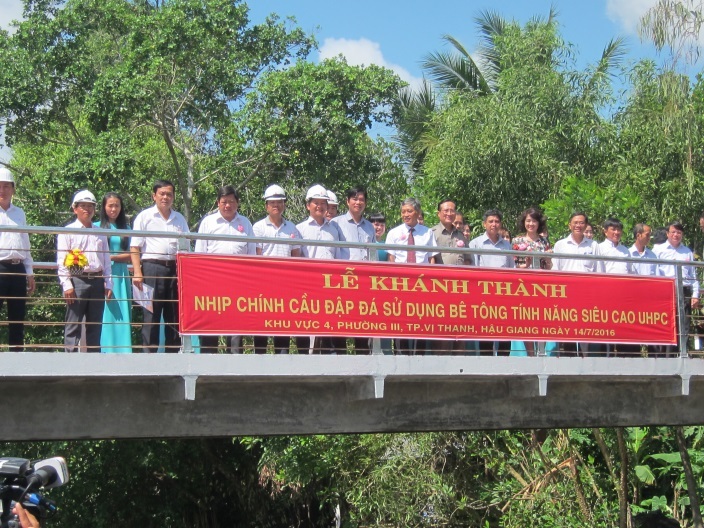 The equipment has been delivered and placed at Xa Bang commune, Chau Duc District, Ba Ria - Vung Tau Province and produced a good effect. 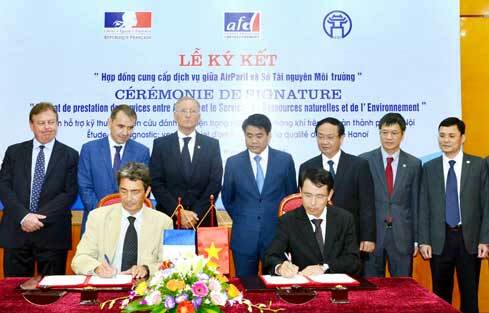 120,000 Euro funded for Hanoi’s air environment assessment 9/8/2016 2:01:02 PM The French embassy and the French Development Agency (AFD) will fund 120,000 EUR for a technical assistance project on assessing the air environment in Hanoi. 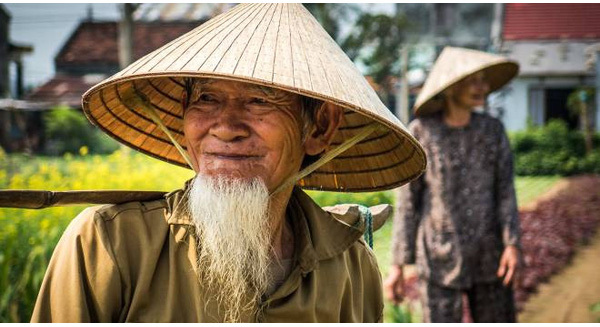 Canada to provide 15 million CAD against climate change for Vietnam 9/8/2016 2:00:33 PM Vietnamese President Tran Dai Quang yesterday received Canada’s Foreign Affairs Minister Stephane Dion at the Presidential Palace in Hanoi on the occasion of his working visit to Vietnam. Visitors: 5857973 Copyright by Department of Information Science and Technology National.